The silent majority of people who are fed up with the present day political culture and yearning for change will have a platform of their own with the formal launching of the Karnatka unit of the Lok Satta Party on Thursday, February 5. Traditional political parties and politicians have turned the once noble pursuit of politics into a privately or family-owned lucrative business. Acquiring power at any cost has become the single point program of most politicians as it facilitates personal enrichment at public cost. Therefore, they use money, liquor and muscle power to induce or threaten voters. They fan feelings of hatred and spark violence in the name of caste or religion, region or language in a bid to gain political mileage. Their investment in elections yields them fantastic returns once they come to power which opens up innumerable avenues for making money. Dr. JP, as he is popularly known quit the IAS to found Lok Satta, a civil society movement. Lok Satta worked with governments, parties and civil society to bring about radical reforms in a number of areas ranging from voter registration to political parties’ funding, disclosure of contestants’ criminal background to the right to information law. Yet, the realization that real change in society comes through political action, and not through civil society action, made Dr. JP launch the Lok Satta Party. It is the only party which has conducted organizational elections by secret ballot and chosen its leaders at all levels democratically. It is the only party which collects donations only by way of cheque and places its income and expenditure statements on its website for public scrutiny. 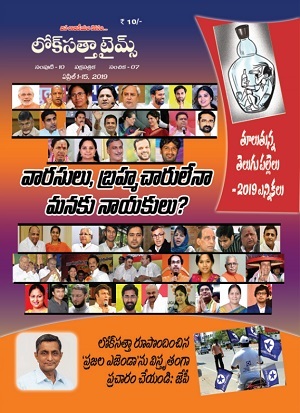 It is the only party which has reserved 50 percent of its leadership positions to youth and one-third to women and ensured positions to SCs, STs and BCs. It is the only party which embraces an inclusive, practical, acceptable and national approach, transcending region and religion, caste and class. It is the only party which does not inconvenience the public by calling for bandhs and rasta rokos and does not indulge in politics of abuse and character assassination. A rational, fair and inclusive approach to reservations. Opposition to unconstitutional expansion of reservations (beyond 50%) and deepening caste divisions -- 10% bonus marks in competitive exams to students of poor, rural families irrespective of caste Your browser may not support display of this image. Opportunities for growth for everyone, irrespective of circumstances of birth, through quality education upto 12th class guaranteed to all children. Access to higher education to all youngsters who deserve and desire it, irrespective of means. Directly elected and fully-empowered district governments Your browser may not support display of this image. Additional funds directly to the village and urban ward governments (Rs.1000/- per capita, times the population) to implement village manifestos Your browser may not support display of this image. Developing small towns with modern infrastructure. In-situ urbanization to create jobs locally and reduce migration to cities. Police and Judicial Reforms: Independent, impartial, accountable crime investigation, speedy and accessible justice through local courts, procedural reforms to eliminate law’s delays, an Indian Judicial Service, and a National Judicial Commission to ensure proper appointments and enforce accountability in Higher Judiciary. when will u get the asemly seats in karnataka.when jp will learn kannada? 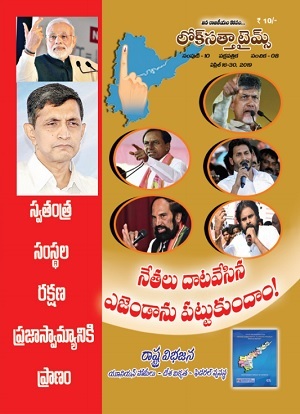 Mr jp is one and only hero in lsp.if no jp in lsp,there is no response from people.i have one idea why cant we provide 23jp"s for andhra.select good speakers from andhra,give the political trining to the best of ur ability upto 3 months.give the tips to them from jp daily one hr.then arrange them to each district.it gives better results from each dist.